People in India savour freshly extracted sugarcane juice dispensed with lime and ginger extract, served in glasses by vendors across the country. However, due to its highly perishable nature, it cannot be preserved beyond a few hours, which has restricted the availability of canned sugarcane juice in India. 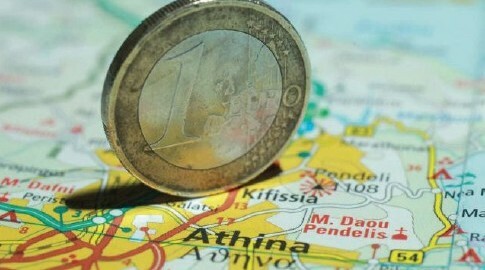 There are companies and institutions supplying it, albeit with a short shelf-life. The range of Indian foods and fruits is as rich and diverse as its culture and history. There are drinks for each season and every reason. For bearing the summer heat, which has only become more severe over the decades, Indians have a variety of beverages – from a raw mango drink to a yoghurt based one. Similarly, to keep warm in the winters, the options are equally diverse. Many of these drinks continue to be popular, consumed in rural, semi-urban and urban areas of the country alike. One such drink is sugarcane juice. Freshly extracted sugarcane juice has a high demand in every Indian locale and vendors selling the juice can be found everywhere. The juice is presently being extracted using hand/power-operated crushers for immediate consumption, because of its highly perishable nature. Although people in India prefer it fresh, there is also a demand for canned options. A traditional Indian beverage, sugarcane juice contains natural sugars and minerals like iron, magnesium, phosphorous, calcium and organic acids like malic acid, succinic acid, acotinic acid, amino acid, protein, starch, and non-sugar phosphates. Apart from the benefits of fresh juices, the demand for organic, local, and natural products has led to Indian ventures like Paper Boat supplying local juice flavours like Aamras, Jaljeera, Anar, Jamun and Aam panna. However, the consumption of sugarcane juice is increasing not only in India, but also in various other countries, highlighting good export potential and marketability of the product. In India, there are a number of units engaged in preparation of different types of juices and while many entrepreneurs have tried to cash-in on the popularity of sugarcane juice in India, they managed to preserve the drink only for a limited number of days. Cane Crush, located in Bengaluru, Karnataka (south), serves freshly extracted sugarcane juice from small standalone kiosks. They do offer takeaway packs in bottles, but these have to be consumed within hours. 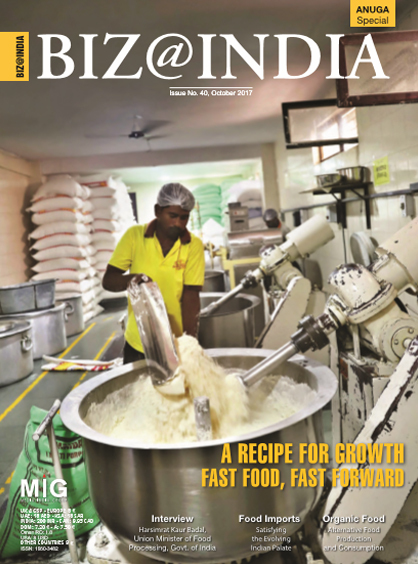 Raw Pressery, another Fast Moving Consumer Goods (FMCG) manufacturer in India, sells sugarcane juice in 250ml bottles using cold-pressed technology, with a shelf-life of 21 days. “The product has been in our portfolio since the start of 2017. We launched our cold-pressed sugarcane juice in the market during festive season of Lohri and have been receiving an overwhelming response for it since then. Sugarcane juice or ganne ka rass, as we call it, is one of our best-selling flavours across all metros. This can be attributed to the technology used, the standards of quality and hygiene and an impeccable flavour combination with the use of ginger and lemon. Sugarcane is also one of the most picked up juices in our Middle East markets (Dubai, Abu-Dhabi and Qatar),” says Aditya Pattanath, manager public relations and experiential marketing at Raw Pressery, which is the only clean label cold-pressed juice brand in the country with Hazard Analysis Critical Control Point (HACCP) certification and Food Safety and Standards Authority of India (FSSAI) approval. “At Raw Pressery, we produce our juice blends by applying cold pressure to fruits and vegetables to extract the juice. We invest in cold press juicing as it ensures higher yield, fresher and more nutritious juice versus thermally pasteurised alternatives. We further apply high-pressure processing (HPP) – a technology where a juice bottle, after being sealed in vacuum, is subject to cold water pressure. The pressure is five times the pressure felt at the base of the ocean floor. This deactivates all micro-organisms and ensures that it is the safest juice with a unique shelf life of 21 days,” Pattanath adds. The presence of yeast in sugarcane juice causes quick fermentation, thus making it highly perishable because of which it cannot be preserved for more than a day, unless preservatives and technologies are used to increase its longevity. “Freezing it is one way to increase the shelf life but it is not a practical solution as we do not know how its demand would stand in front of other juices which are ready-to-drink,” says Jordan Golabkan, an entrepreneur in food and beverage industry in India. However, not only fermentation and conservation but also sourcing of sugarcane is a challenge. The distribution of cane sticks in the country is badly organised, and is mostly used to produce rum, sugar and jaggery. The Central Food Technological Research Institute (CFTRI), in Mysore, Karnataka (south), is in advanced stages of filing patent for bottled sugarcane juice, for which it has developed preservation and packaging technologies. With value addition being done at the cane-crushing stage itself using permitted chemicals, according to the institute, the bottled juice will be fit for consumption for six to eight months from the date of manufacture. As per the plans, fresh and fully mature sugarcane – free from insect and fungal attack or any other blemish – will be taken for extracting the juice, which will then be clarified and filtered to get a clear solution. After the addition of required quantities of permitted preservatives, additives and flavours, the sugarcane juice beverage will be stored in 200ml bottles – crown corked and conforming to the Indian standard (ISI). Adding chemicals before the quality of the juice starts declining and the addition of spices like ginger and cardamom at the time of crushing, along with some preservatives, can enhance the shelf life of the product, giving it a distinct flavour. Another technology developed by Tamil Nadu Agricultural University in Coimbatore (south), includes preparing and bottling of sugarcane juice starting with peeling, crushing, filtering, pasteurisation, addition of preservatives and bottling of the juice. The sugarcane juice is preserved and packed in 200ml glass bottles and is available during off-season as well. Indian Institute of Toxicology Research and Indian Institute of Sugarcane Research in Lucknow, Uttar Pradesh (north) are working on a technology to preserve the juice for up to five months. The technology, which is said to reduce bacteria in the juice and help preserve its freshness for longer, will also increase its shelf life and raise prospects of its marketing. 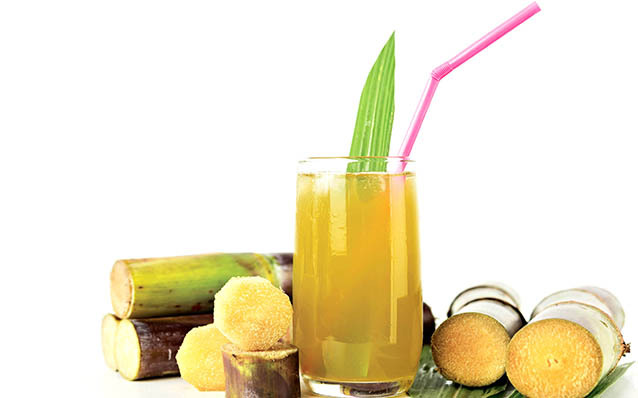 Unlike other juices, sugarcane juice can be consumed in its purest form without adding water, sugar, etc. Loaded with carbohydrates, proteins and minerals, the juice is healthy and can be consumed even by diabetics, thus finding many takers. Bottling of sugarcane juice and making it available to the consumers in both urban and rural areas is likely to create job opportunities and new markets that involve using locally available raw materials.